Greetings, PokéNerds! Last month the Pokémon franchise turned 18 years old. Whether you’re a fan of the classic 151 or a dedicated enthusiast, Bookmans celebrates the history of the highly addictive series. Bookmans Speedway soon begins our own weekly Pokémon Club. Our first Pokémon Pileup is Friday, April 4 from 6 to 8 p.m. Meet up with fellow fans and collectors to trade, battle or show off your favorite monsters. View classic Pokémon movies, and dive into Pokémon crafts and activities. Casual and competitive gamers of all ages are welcome. In the meantime, we are highlighting our selection of Pokémon merchandise. 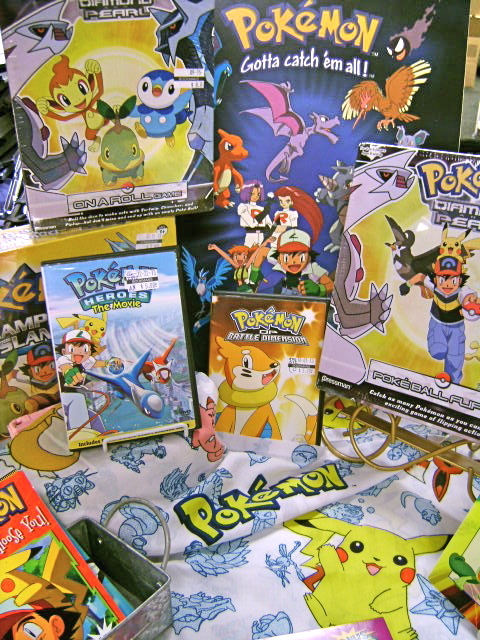 Take a Peek-a-Pik at Bookmans Speedway’s cool selection of books including Pokémon stories, trivia guides, pop quizzes, “Lets Find” books, sticker and drawing guides as well videos, board games and figurines. We will soon carry the popular trading card game, including holographic classic cards. Swing by for a chance to beef up your collection. Gotta catch ’em all!